Telecommunications and internet services are available throughout the center, with ethernet and wireless connections in all meeting rooms. Hi-definition monitors throughout the center clearly display meeting information. The theater features 2,222 seats, including two balcony levels with fourteen theater boxes along the side walls. The proscenium arch hall is ideal for live performances, general sessions, award ceremonies, special programs, and corporate presentations. The back-of-house features four large chorus dressing rooms with shower facilities, four private dressing rooms and a performer’s lounge. 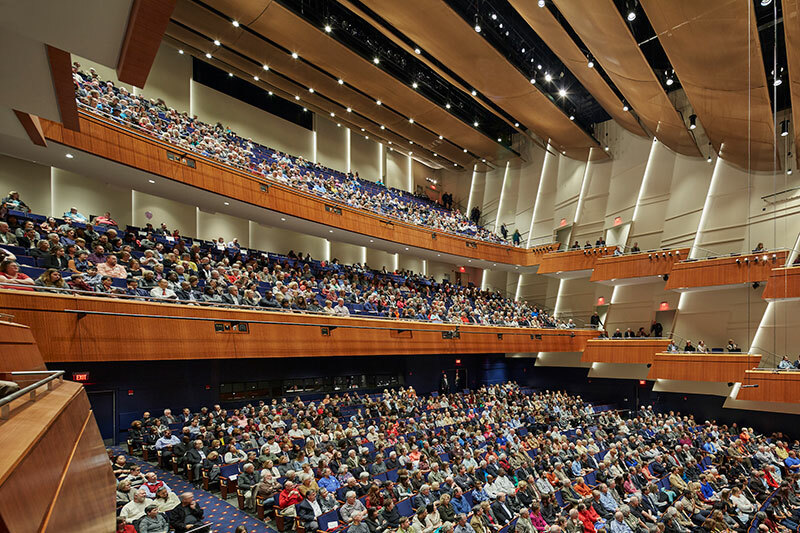 Robinson Center is the performance home of the Arkansas Symphony Orchestra, Celebrity Attraction’s Broadway Theater Series, and Ballet Arkansas.